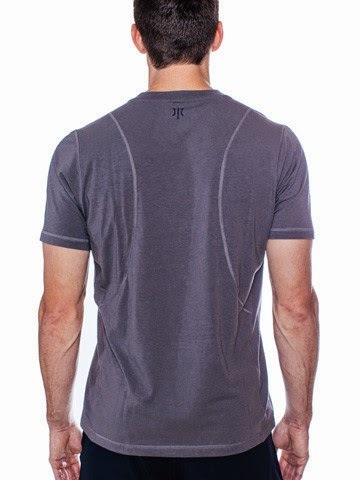 Recently I had the opportunity to sample a shirt from Rhone Apparel. The shirt I chose for my husgand from their large selection was the Particle V Short Sleeved Shirt. The word soft is lacking. It portrays the smooth comfort of our long staple fine cotton and Austrian beechwood modal that the Particle is made from. But since we built this with some of Mother Nature’s most sustainable resources we wanted the shirt itself to be as resilient as the fibers it is made from; we added lycra to make sure this shirt goes the distance and comes back again. So we need a new word, one that can show the dual nature of the Particle as both comfortable and durable. THE PARTICLE NOW COMES IN BOTH A STYLIZED HIGH V-NECK AND CREW NECK! This garment has an athletic fit. The shirt is available in 3 colors, Stirling Blue, Slate Grey and All Black, and in 5 sizes Small, Medium, Large, XL and XXL. You can check out this shirt and all the others here.